The Ferrari Owners’ Club of New Zealand celebrated its 30th anniversary in 2017. Founded in 1986 by a group of enthusiastic racers who originally wanted to create a register of Ferrari’s in the country, it has gone from strength to strength. The Club has a constantly growing membership, which currently stands at 230. 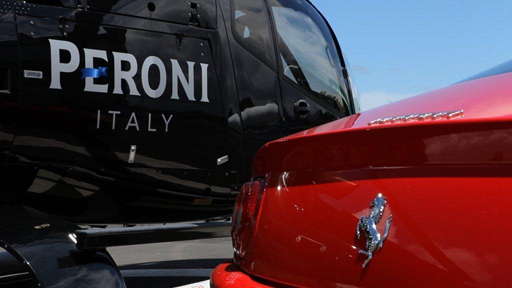 Together, they represent a significant percentage of the Ferrari’s currently resident in New Zealand. The emphasis today is more on social activities than racing, with owners enjoying their cars on the many organised events that are held across the country. The Club has a National Executive which co-ordinates activities within three regions; Auckland, Wellington and the South Island. Each of the regions operates a variety of events throughout the year ranging from Fun Runs, Dinners, Track Days, Driver Training, F1 Viewings, Charity Events and many other social activities. Each region has its own Chairperson. The Club is a great place to meet like-minded people with a passion for the Marque. We welcome applications for membership and look forward to hearing from you. In the meantime, we hope that the “public” side of our website provides you with some insight to the Club. The Club also offers children interested in the Ferrari Brand an opportunity to join our Membership. You need to be aged between 10 and 20 to qualify for Junior Membership. As a requirement you will need a current owner to sponsor your application. This is to ensure behaviour is able to reflect responsibility and care around owners cars. For more info please see the “Joining the Club” page.